A unique and substantial property, set in an elevated position with wonderful views of the Surrey Hills. Keston Lodge comprises spacious and versatile accommodation extending in the main house to just over 12,000 sq. ft. 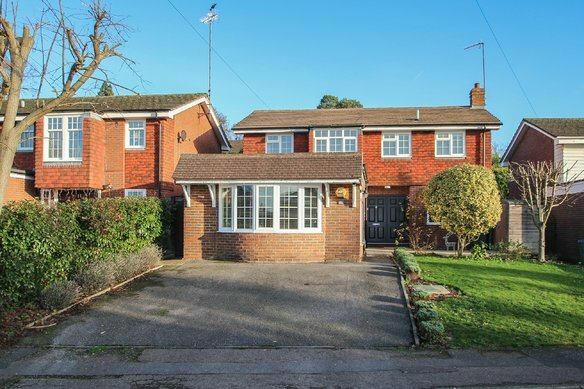 Situated on the outskirts of the popular small town of Leatherhead and surrounded by beautiful countryside, including the beautiful Surrey Hills. The house sits in an elevated position and is set within 8 acres of mature landscaped gardens. The accommodation is of generous proportions with a number of living spaces facing the expansive view towards the Surrey Hills. 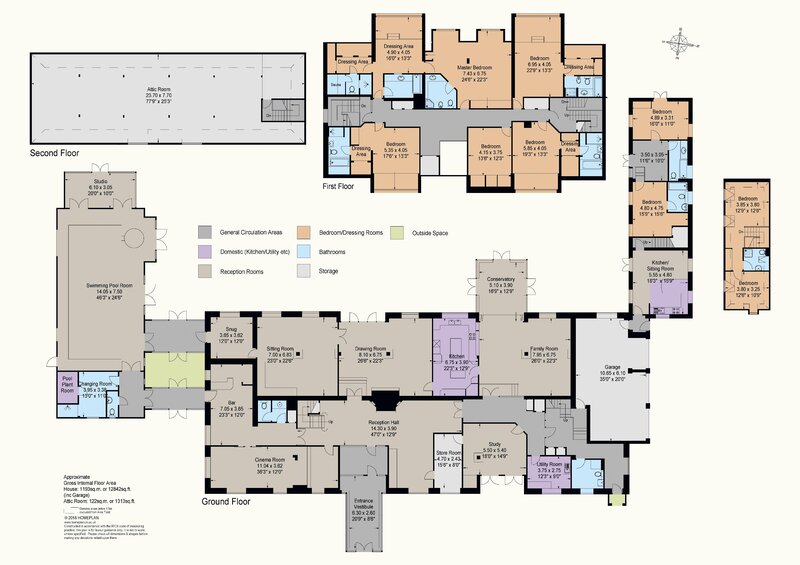 There is a wonderful cinema room and bar area connecting to the Leisure complex this features an indoor swimming pool, hot tub, gym area, changing room, shower, and studio. Additionally, there are two ancillary cottages. The first cottage is fully self-contained (linked to the house) with living/kitchen area, two bedrooms and two bathrooms. The second cottage has two bedrooms and a bathroom. 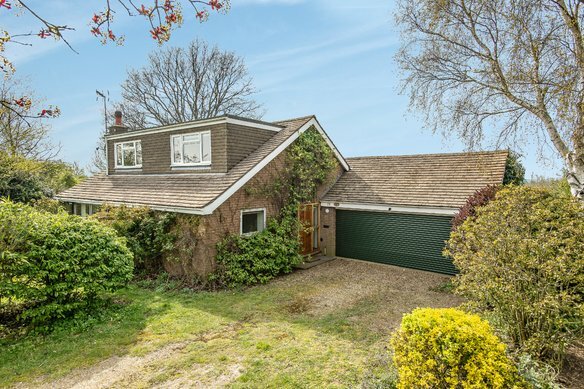 Situated in a rural setting the property sits approximately a mile outside of Leatherhead, with a wide selection of shops for day to day needs, a theatre/arts centre, and a railway station with direct access to Waterloo and London Victoria from 48 minutes. 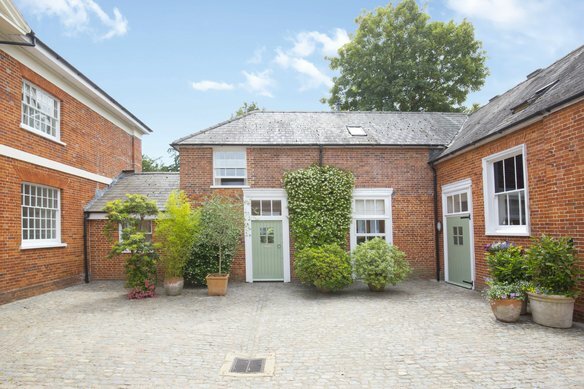 Other nearby towns include, Guildford, Dorking and Kingston, all of which are within easy reach. The area has exceptional road links from both the A3 and the M25, giving access to London, Heathrow & Gatwick. Making for the perfect location for commuting. There is a wide choice of excellent schools in the area such as ACS International School, Danes Hill, Reeds School and St Johns, Leatherhead which are all close by. Other schools include Charterhouse, St George’s and Claremont Fan Court School in Esher.